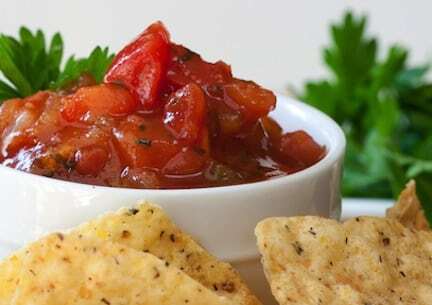 Salsa, the most basic relish of Southwestern cuisine and a well-loved dip, is sometimes known as salsa fresca or salsa ranchera. Store-bought salsas are generally quite good, not to mention convenient, but there’s nothing like making fresh tomato salsa in midsummer. Homemade salsa tends to get liquidy as it stands, especially if you make it with juicy, ripe tomatoes, so drain it off occasionally. 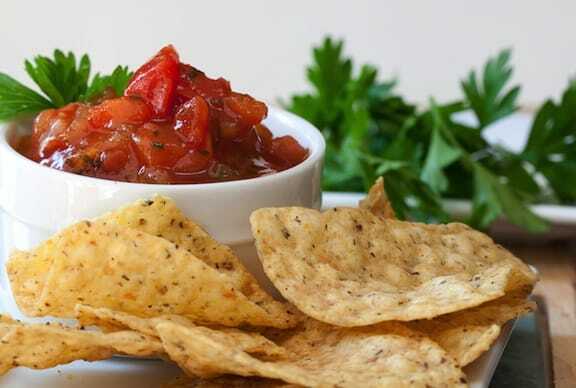 Serve with stone-ground tortilla chips or use for topping quesadillas or other southwestern specialties. Cut the tomatoes into quarters and if there are a lot of seeds, remove and discard them. Chop into a few smaller pieces. To prepare in a food processor, simply combine all the ingredients in the workbowl and pulse on and off until the ingredients are coarsely pureed. To prepare by hand, finely chop the tomatoes, onion, chiles, if using, and cilantro. Stir in the remaining ingredients. Store in an airtight jar. This will keep for several days, but it best fresh. 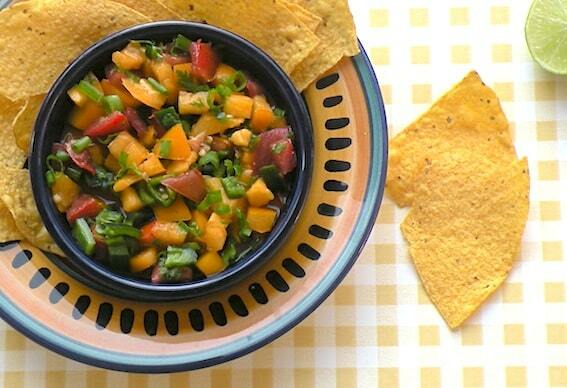 Here are lots more recipes for salsas, chutneys, and relishes. A good friend of mine loves fresh tomatoes. She will surely like this recipe.